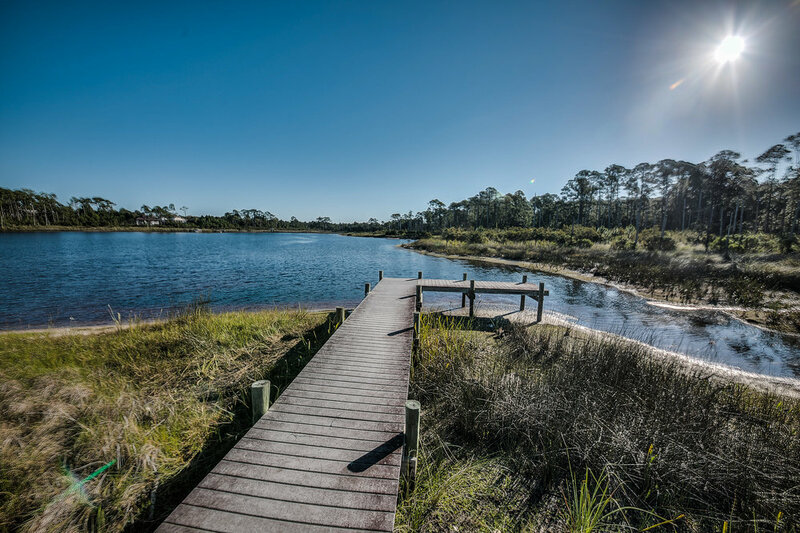 Found only in a handful of exotic locales around the world, coastal dune lakes are a rare and beautiful natural phenomenon that lend to the diverse landscape and lifestyle of the area. These lakes are a unique geographical feature that are only found in Madagascar, Australia, New Zealand, Oregon, and here in Walton County. Walton County has the largest concentration of coastal dune lakes in the world. Our coastal dune lakes share an intermittent connection with the Gulf of Mexico. The lake water is fed by streams, groundwater seepage, rain, and storm surge. The connection with the Gulf, called an outfall, is a flood control and pours lake water into the Gulf as needed. Draper Lake is one of fifteen naturally occurring lakes along Scenic Highway 30A that line the coast, occasionally spilling into the Gulf through outfalls. 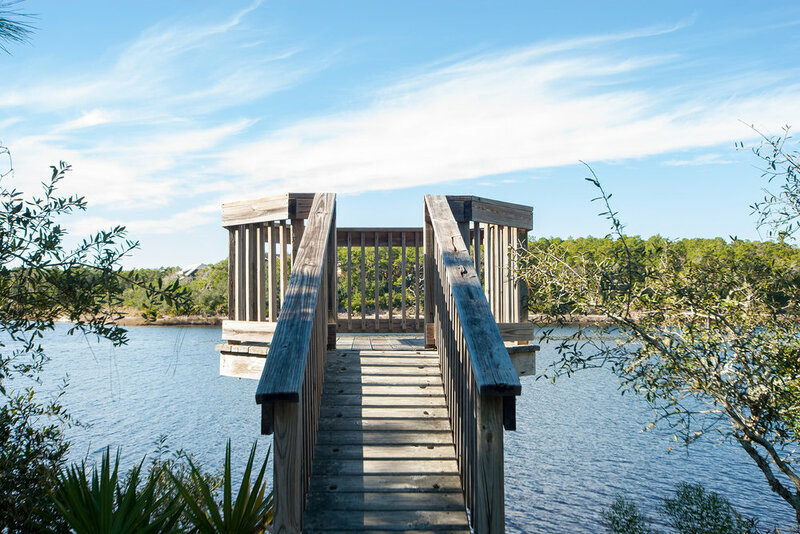 The 28-acre, private access lake borders The Retreat on its entire western boundary, the Gulf of Mexico to its South, and the conservation preserve to the North—providing peace and privacy. The Retreat offers a private floating dock which allows convenient access to paddle boarding, canoeing, and kayaking. Draper Lake also borders neighbors in Old Florida Beach and Draper Lake Coastal Village.